The projects should not have been previously published in print, either in the UK or internationally. We welcome completed projects as well as works-in-progress. Please use the form below to submit an online link to your work (maybe to your own website or to a dropbox link) and a short statement about your work before 10am, Monday, 10 March 2014. We are very sorry that we cannot offer individual feedback on submissions. Successful submittee’s will be notified before 10 April 2014. The international photography magazine Foam Magazine has officially opened submission for its eighth annual Talent Call on Wednesday, 29 January 2014. All photographers worldwide between 18 and 35 years old are invited to submit their portfolios for the Talent issue. “The annual Foam Talent Call searches for exceptional, talented photographers from all over the world. We aim to have an annual overview of the work of young promising artists. We are curious for new developments, trends and themes that are of importance to contemporary artists,” according to Marloes Krijnen (Director Foam and editor-in-chief of Foam Magazine) and Pjotr de Jong (Creative director at Vandejong and Foam Magazine). Every year, Foam Magazine dedicates one issue to the work of young talents. It is a springboard into the international photography industry for these artists, giving them worldwide recognition and acclaim. 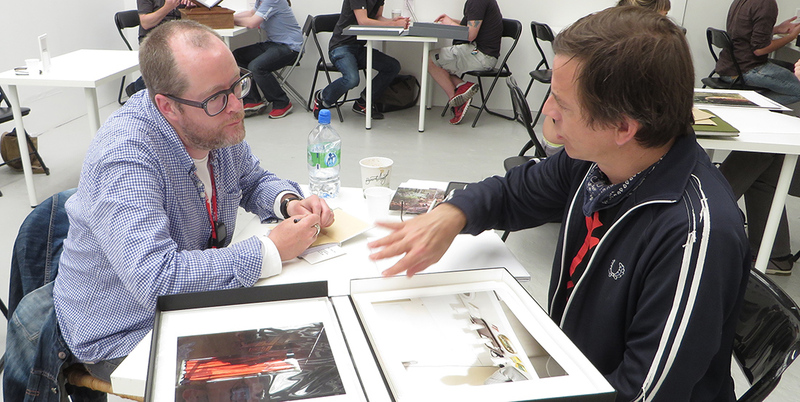 Last year the winning portfolios were chosen from more than 1500 submissions from all over the globe. The winning portfolios, chosen by the Foam Magazine editorial team, will be published in Foam Magazine Talent issue, which will be released this August. The Foam Talent Call 2014 is open to all photographers between 18 and 35 years old worldwide. The entrance fee is €35. Those selected will be showcased in the Talent issue of the magazine and promoted in different ways through the international photography network of Foam Magazine, both online and offline. In fact, the main outdoor exhibition during Unseen Photo Fair (September 2014) the Talent exhibition will travel internationally to a number of outstanding locations. The editorial board will choose the portfolios according to the creative vision and concept of the series presented, amongst other criteria. Previous Foam Talents are Melinda Gibson, Ina Jang, Alex Prager, Raphaël Dallaporta, Jessica Eaton, Shane Lavalette, Sam Falls, Noémie Goudal, Daniel Gordon, David Benjamin Sherry, Daisuke Yokota, and Peter Puklus, to name a few. When will the selection procedure take place? Between March and June 2014. If you are selected, we will notify you as soon as possible. When am I a talent? There is a difference between ‘being talented’ and ‘being a talent’. Being talented isn’t really related to age. Irving Penn was still very talented at a very old age. Being a talent normally describes someone of a young age who has outstanding skills or abilities compared to a person of roughly the same age. In Foam Magazine we always pay attention to the work of truly talented photographers, but in our annual Talent issue we present the work of artists we consider true talents. For more information please read this blog post of our editor. When will the Talent issue be released? The talent issue will be released in August 2014. The Foam Magazine editorial team will select entries. Because Foam Magazine is non-profit, the €35 that we ask to enter The Foam Talent Call goes towards producing future issues. We have a small, dedicated team that is passionate about photography and they devote a great deal of time into sourcing not just great work, but also the best way to present it. For more information please read this blog post of our editor. To enter the Foam Talent Call, you should be between 18 and 35 years old, born between 1995 and 1978. The age limits set for the Talent Call have been created in order to focus once a year on a particular segment of photographers. This is for the simple reason that we are curious about how this generation of people look at the world and express themselves with a camera. For more information please read this blog post of our editor. My ZIP-file is more than 5 MB, can I send my portfolio by post or e-mail? I would like to submit a book I made, how can I send it? I want to submit my work for the Talent Call, but I don’t have a C.V. Is it possible to enter the Call without a C.V.? Should I upload 20 photos per project/ series or 20 pictures in total? 20 photos in total, 2 series. When you say ‘a brief description (maximum one A4) of the projects/series’, do you mean one A4 per project or for both projects? Yes, one A4 for both projects. I’ve submitted work, but I want to change my submission, is that possible? The Talent Call will close at midnight, Pacific Standard Time, on the 12th of March 2014. Can I submit my work using my artist name? Yes but your real name also needs to be specified in the entry form. Is there a student discount on the submission fee? Is the max. file size of 5MB for individual files or is that for all 20 files? The maximum size of your submission (zipped into 1 file) must not be bigger than 5MB. Why can’t I proceed to step 2? Please tick the box, ‘I agree with the terms and conditions’.